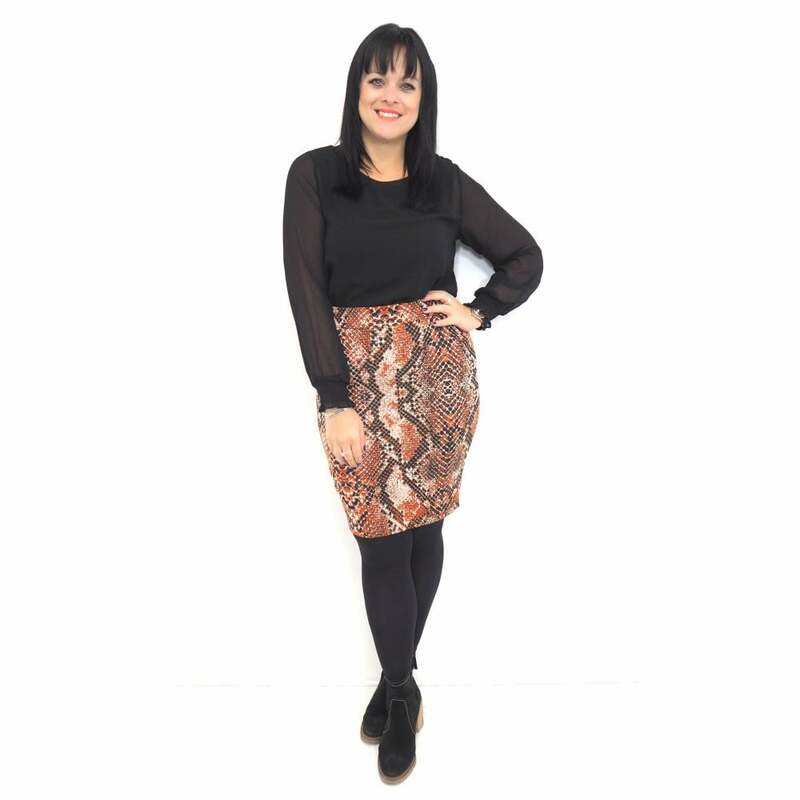 Stay right on trend this season with the stunning Dena snake print skirt! Accentuate your curves with this flattering body-con style skirt, featuring and eye catching orange skake print! Great for transitional wear, this gorgeous skirt is sure to be a new favourite this season!